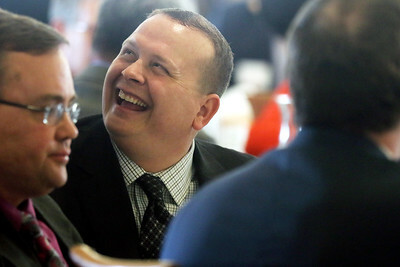 Matthew Apgar - mapgar@shawmedia.com McHenry mayor Wayne Jett laughs with attendees after taking his seat following his first State of McHenry luncheon at the McHenry Country Club on Wednesday, Feb. 28, 2018 in McHenry. 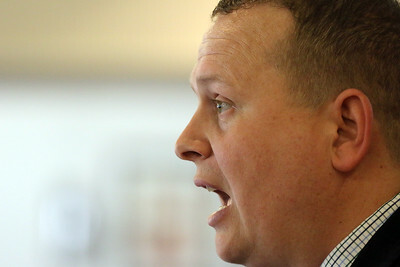 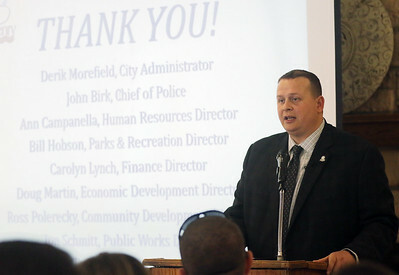 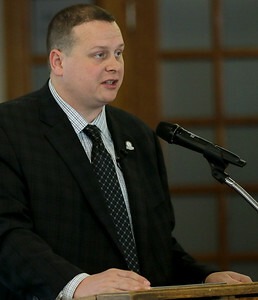 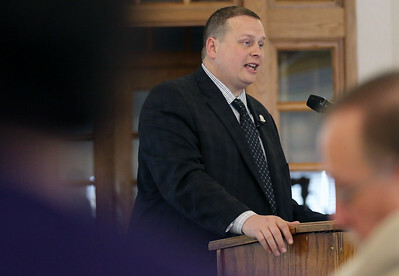 Matthew Apgar - mapgar@shawmedia.com McHenry mayor Wayne Jett addresses attendees during his first State of McHenry luncheon at the McHenry Country Club on Wednesday, Feb. 28, 2018 in McHenry. 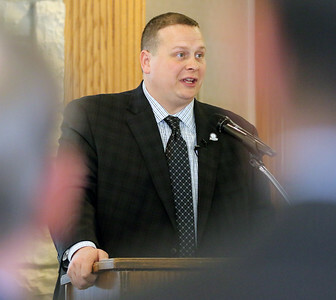 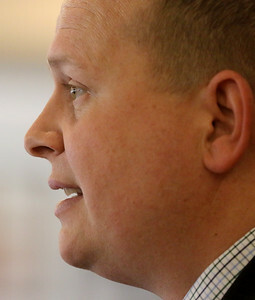 Matthew Apgar - mapgar@shawmedia.com McHenry mayor Wayne Jett heads to the podium to address attendees during his first State of McHenry luncheon at the McHenry Country Club on Wednesday, Feb. 28, 2018 in McHenry. 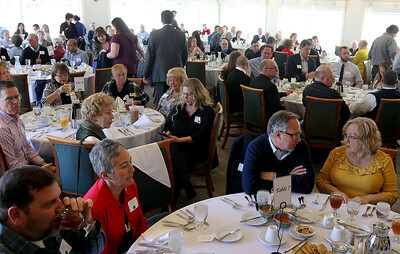 Matthew Apgar - mapgar@shawmedia.com Attendees find their way to their tables to hear McHenry Mayor Wayne Jett give his first State of McHenry luncheon at the McHenry Country Club on Wednesday, Feb. 28, 2018 in McHenry. 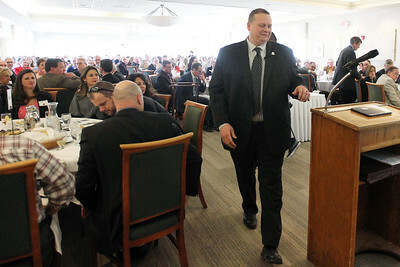 McHenry mayor Wayne Jett laughs with attendees after taking his seat following his first State of McHenry luncheon at the McHenry Country Club on Wednesday, Feb. 28, 2018 in McHenry.